A double outlet is built-in for electrical supplies, and the porcelain light fixture will provide plenty of light. 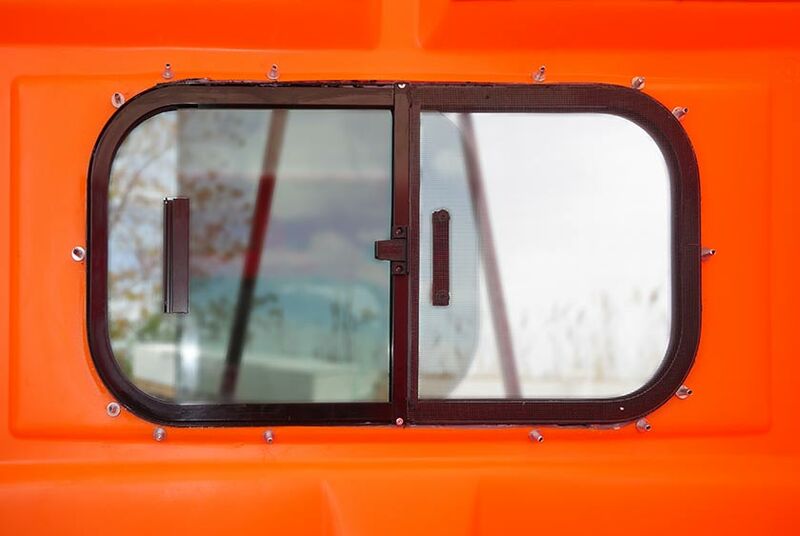 The SAFETY SHED has three screened window to allow fresh air to flow inside when you need it. The bright white translucent roof will also provide plenty of natural light during the daylight hours. 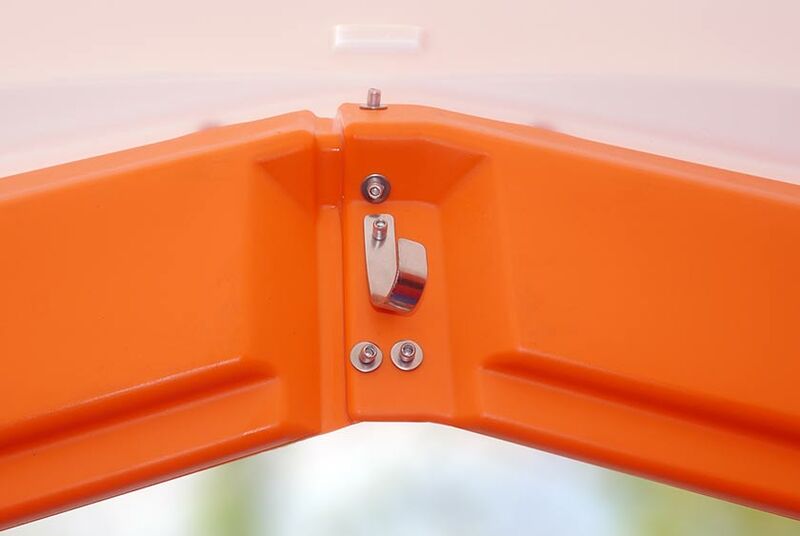 The SAFETY SHED has a self-closing door with an interior locking system. 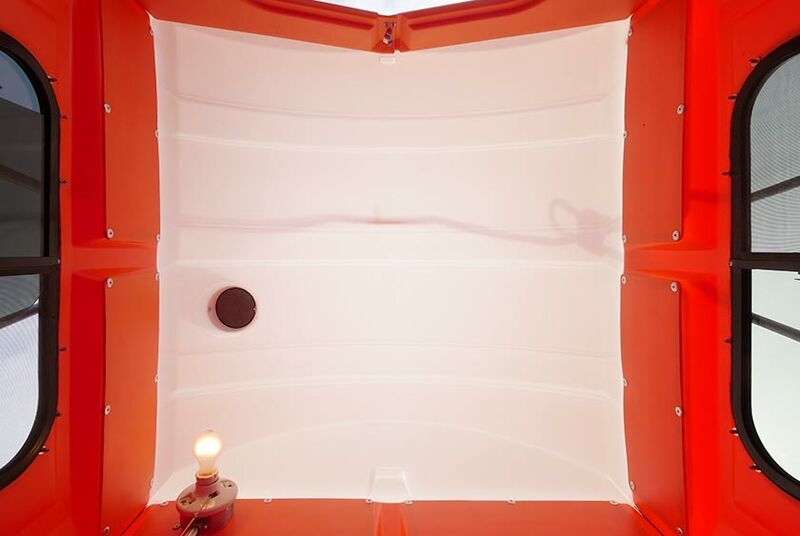 The SAFETY SHED’s high-density polyethylene construction is extremely durable. 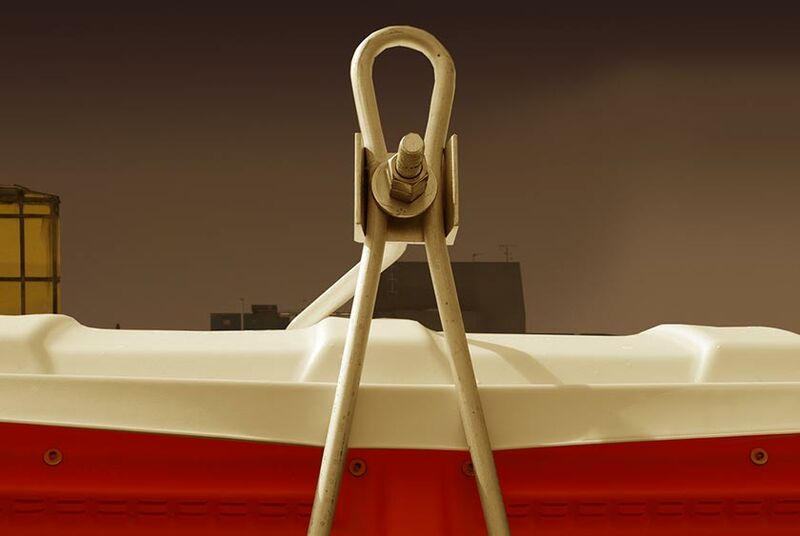 It includes a steel lifting hoist that can be attached to a crane for easy transport into highrise buildings, over water to a barge or any other hard to reach location. 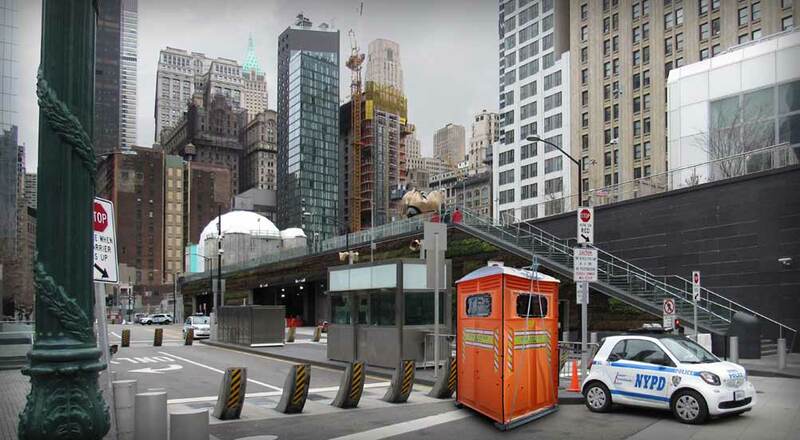 New York Airports, where security detail is needed 24 hours a day, will also benefit from the SAFETY SHED portable security guard booth. 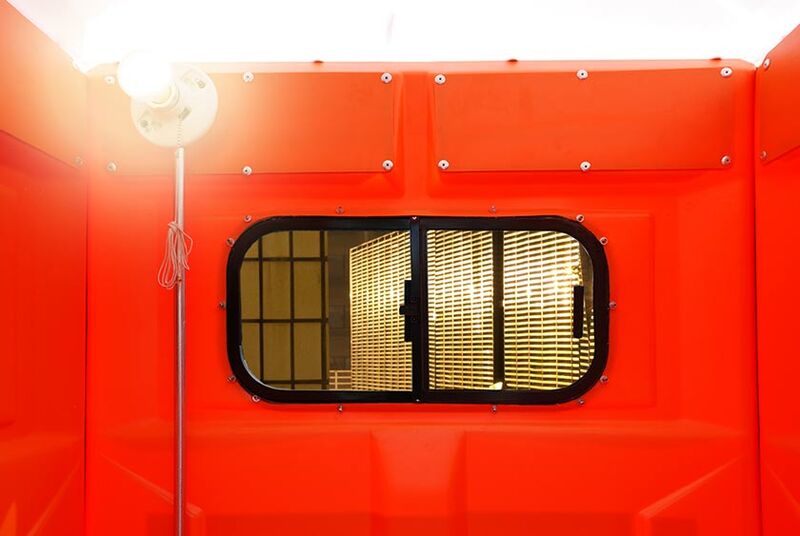 The SAFETY SHED blends in perfectly with safety equipment and delivers another layer of security with its reflective design. The SAFETY SHED looks incredible and shows that safety is a job site priority while also deterring theft and vandalism at any location. 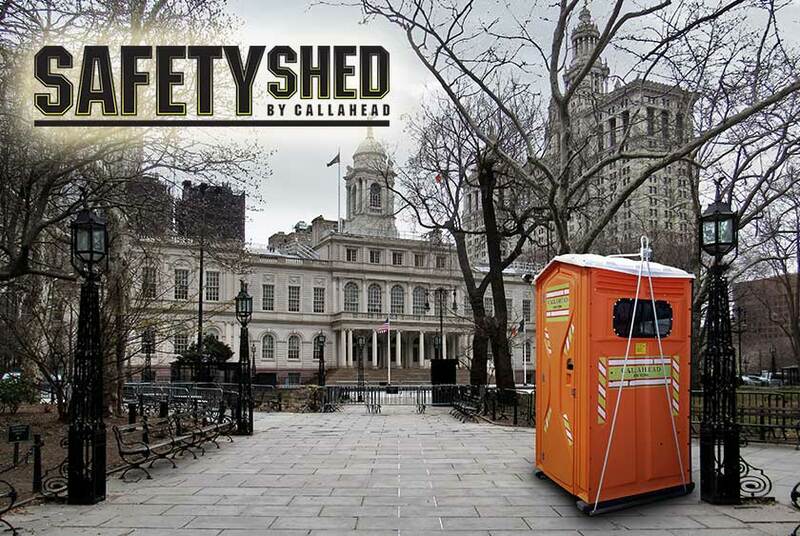 The SAFETY SHED is available for fast delivery for short-term rentals too. 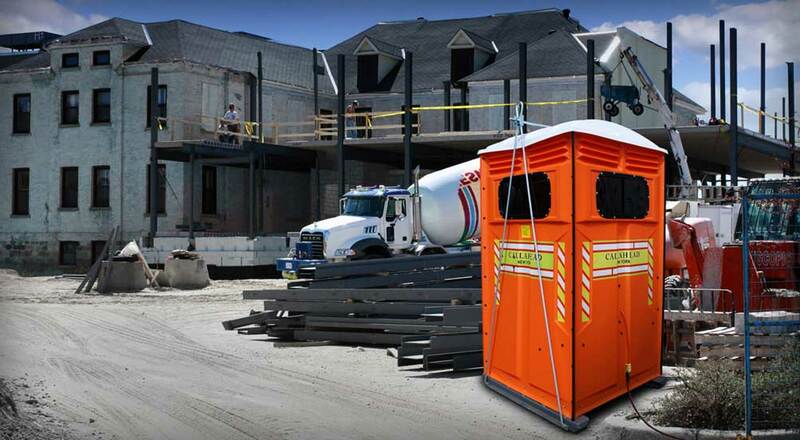 When unfortunate situations arise, and security personnel is required, the SAFETY SHED portable security guard booth is a quick and easy solution. 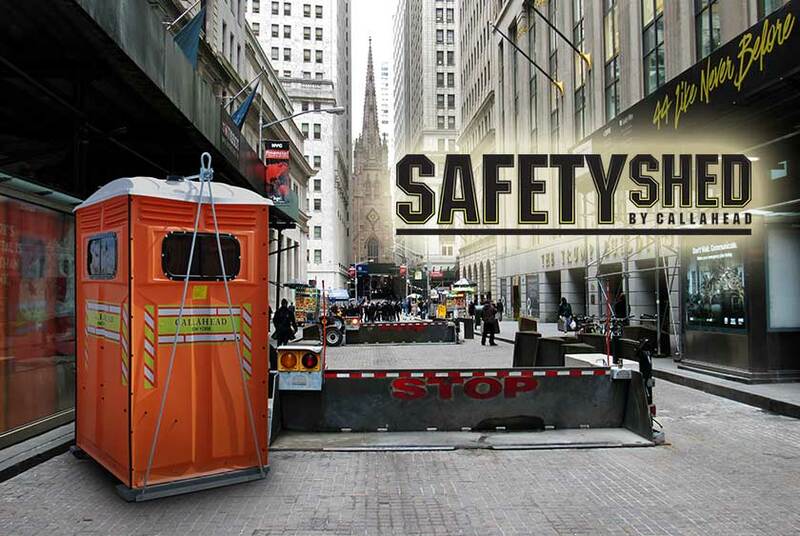 The SAFETY SHED will provide first responders a portable guard shelter at any location so they may safely protect the public during disaster and emergency situations. Its durable, yet lightweight design offers easy mobility and prompt delivery. 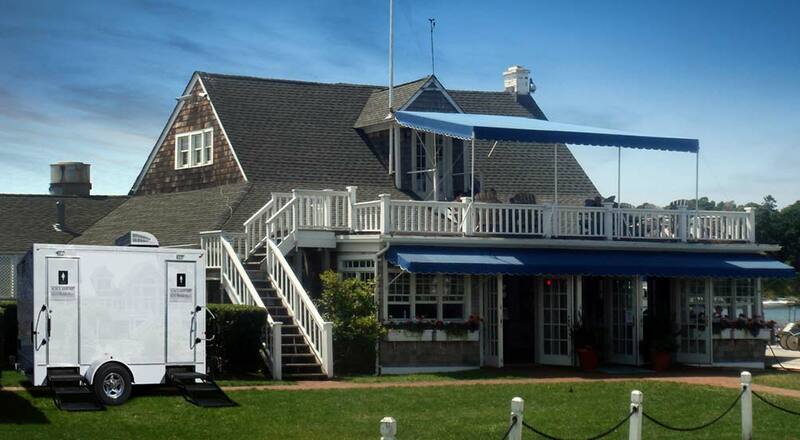 CALLAHEAD can provide same-day delivery of the SAFETY SHED to New York City’s five boroughs of Manhattan, Brooklyn, Queens, the Bronx and Staten Island, and all Westchester County and Long Island’s Nassau and Suffolk Counties to Montauk Point. 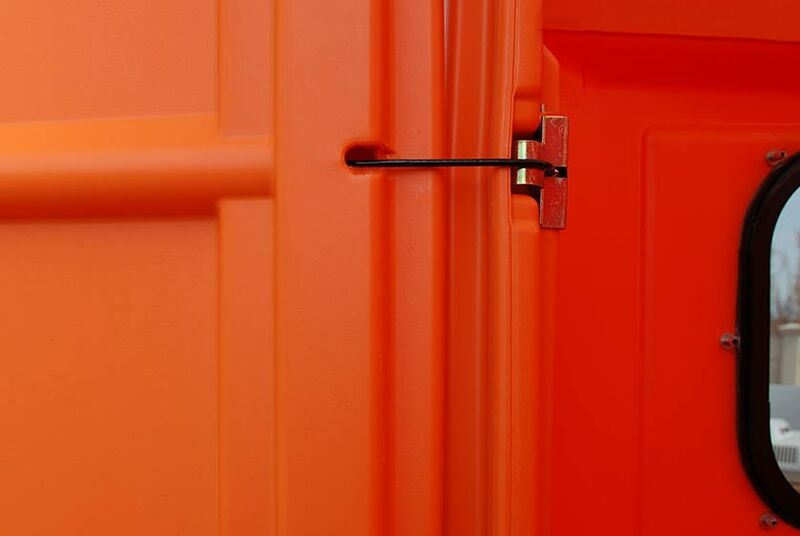 Our professional uniformed delivery specialist will arrive at your location and place the SAFETY SHED at the location you select. CALLAHEAD has been in business inventing new products since 1976. 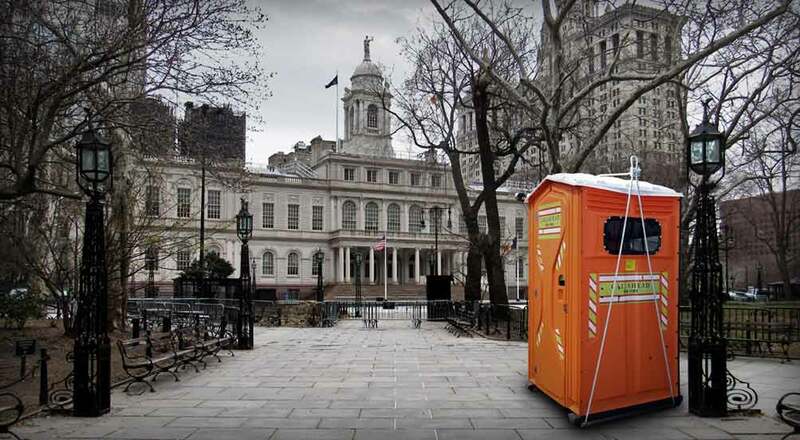 We are New York’s largest and most trusted portable sanitation company. 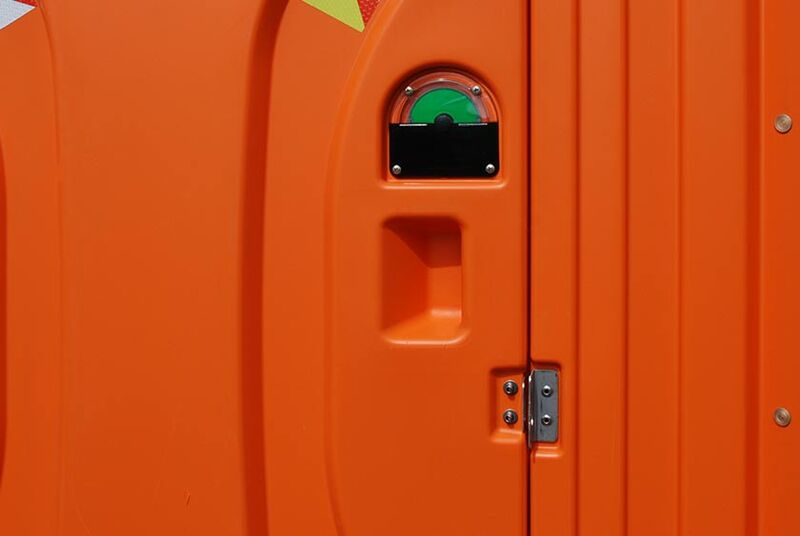 From our advanced portable restrooms to our state-of-the-art portable security guard booths, we are the leaders in the industry. When you want the very best, only CALLAHEAD has the experience and commitment to deliver the world’s best equipment and service for you. 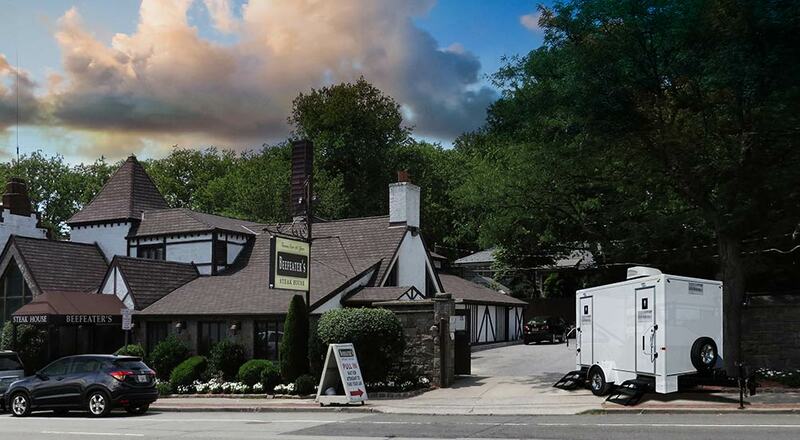 CALLAHEAD’s SAFETY SHED was designed to stand out while providing warmth, shelter, and a comfortable work area for every security detail. 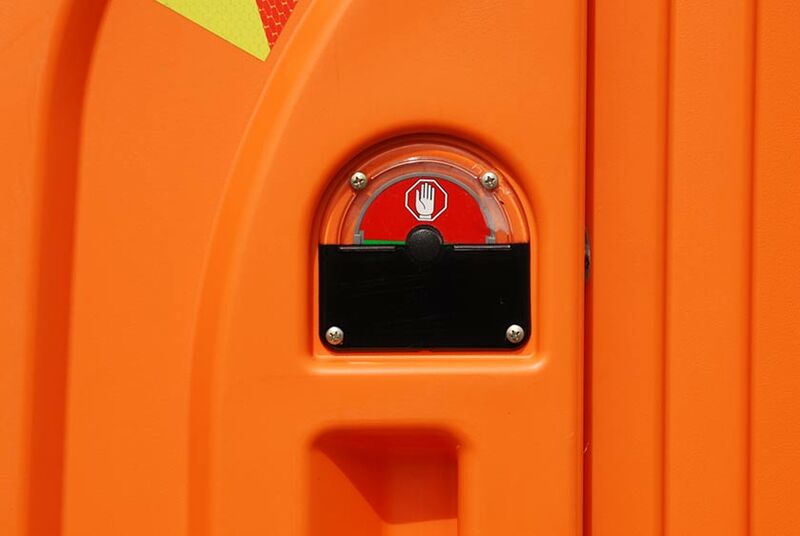 This security guard booth’s fluorescent orange color and reflective design bring the ultimate portable security guard booth with multiple functions in one rental adding value. 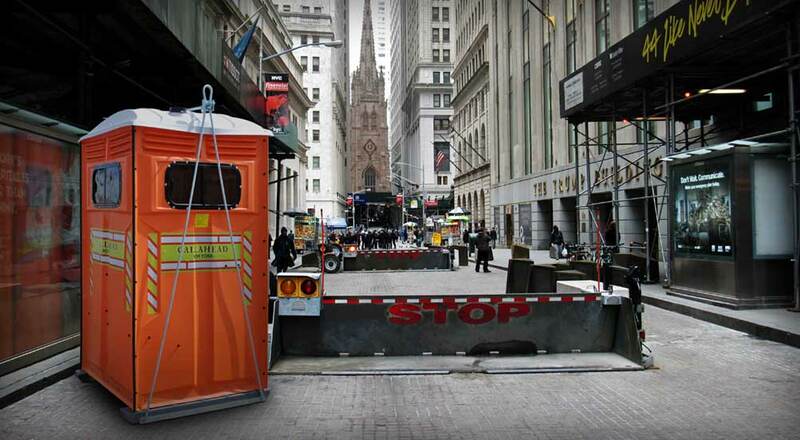 For one, the SAFETY SHED will protect security guards from inclement weather and cold. It also delivers a valuable workspace with its built-in light and electrical outlet. You can add a CALLAHEAD table, and chair with your rental for an even more productive work area. 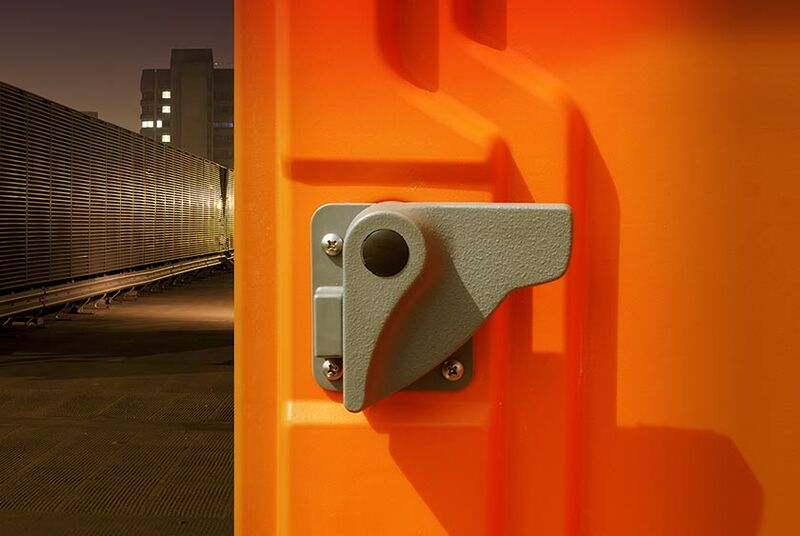 Additionally, the SAFETY SHED’s reflective standout design can deter theft and assist in preventing accidents in high traffic locations. 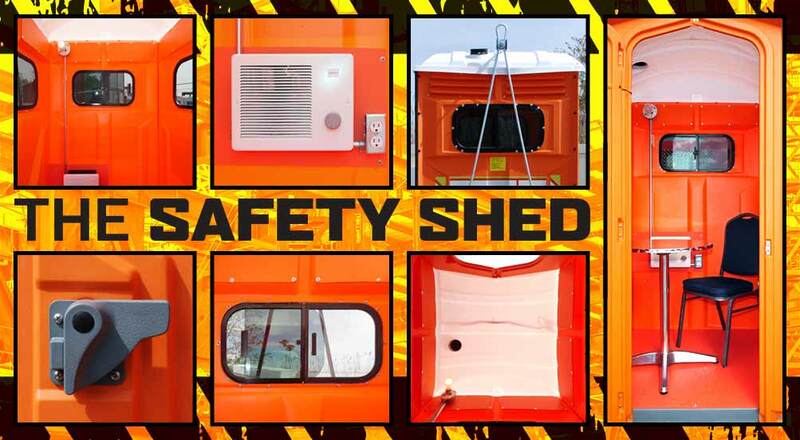 The SAFETY SHED’s bright orange coloring and specialty designed reflective CALLAHEAD New York signage on all four sides makes it hard to miss. 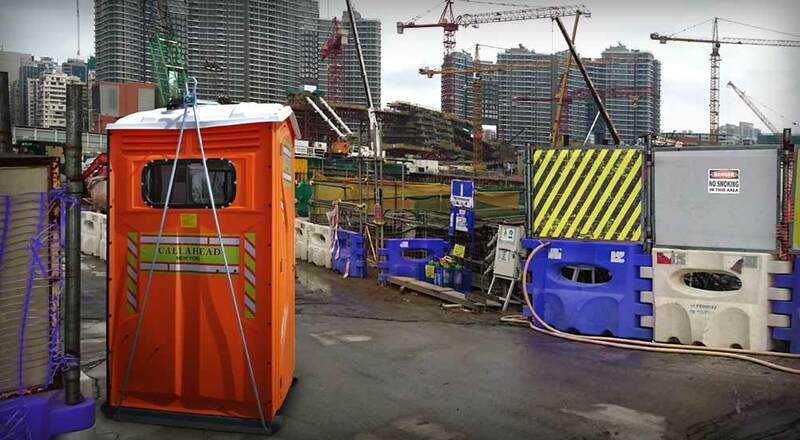 The orange exterior is designed with yellow, white, and red safety reflectors resemble safety equipment to make this a great security guard booth for highway, road, tunnel, bridge and overnight construction sites. 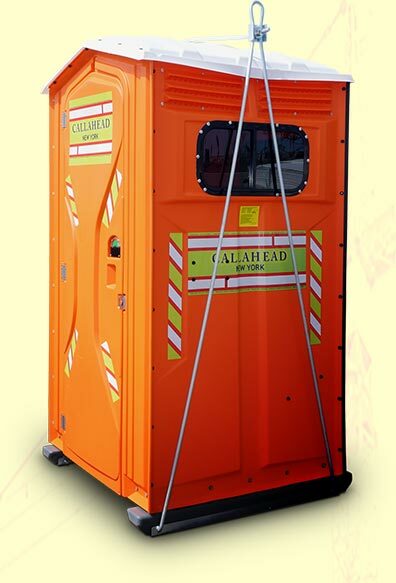 The SAFETY SHED is a design by Charles W. Howard, President and CEO of CALLAHEAD, and is a CALLAHEAD exclusive. 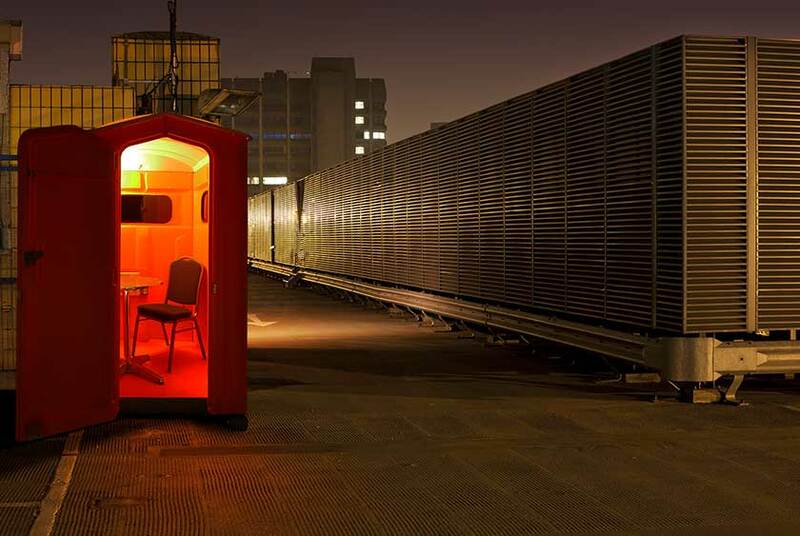 The SAFETY SHED’s interior has room to fit a security guard with a table and chair comfortably. 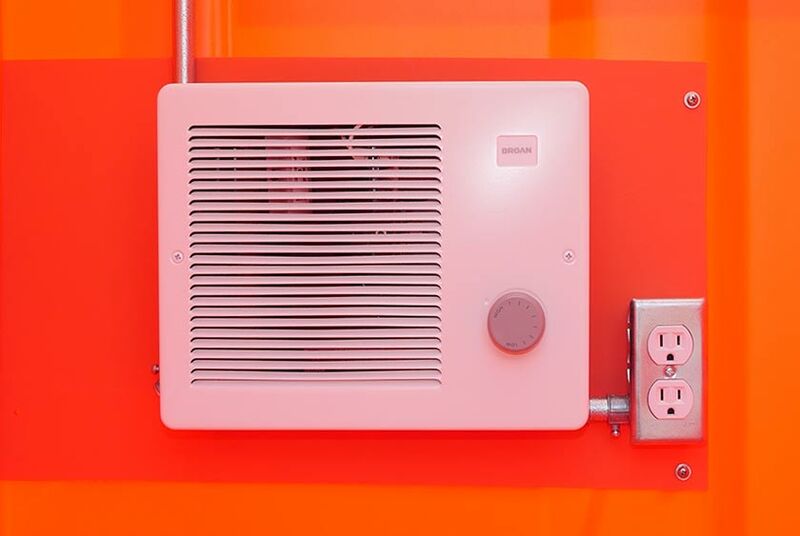 The Broan heater has a thermostat control for the perfect temperature inside. 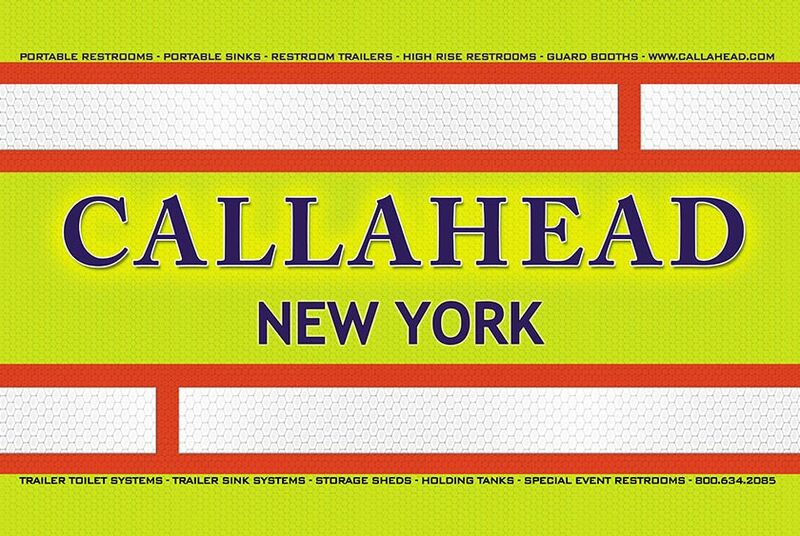 CALLAHEAD also offers the option of our air conditioning system with your rental.